Unique vintage home has all of the wonderful charm of an older home with the comforts of a new home. 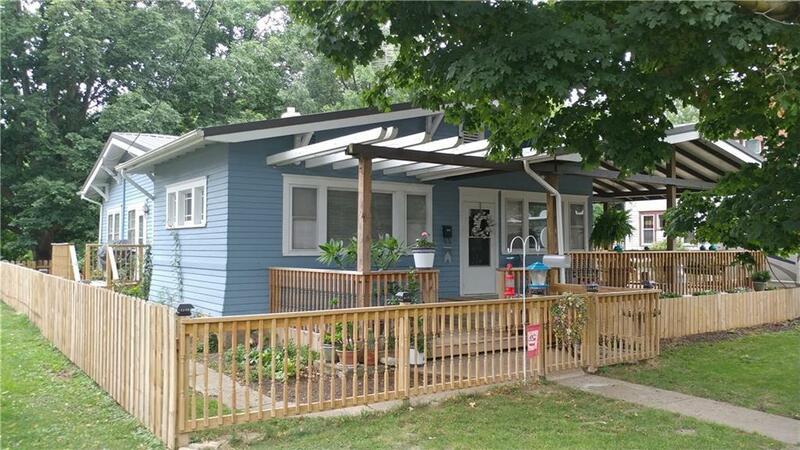 A block from the beautiful and secure DePauw campus, the home has an awesome covered porch, side deck and fenced side yard. Within the last year, home has NEW furnace, AC, storm doors, over the air TV antenna, ventless fireplace, chimney flue, sump pump and another beautiful new deck added off of side of the south side of the home and is perfectly convenient for all of your grilling needs.